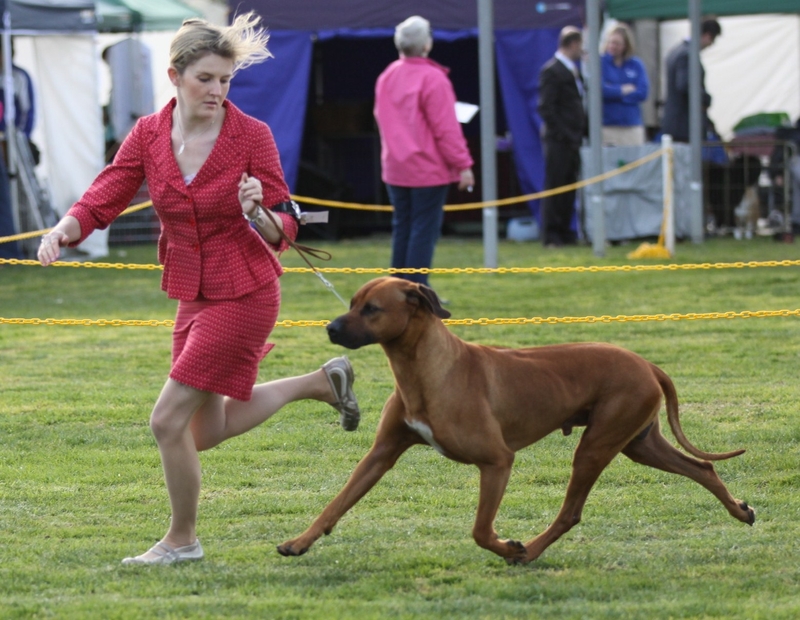 Achievements: Bondi is a super young dog who excells with angulation and movement and is a proven sire. 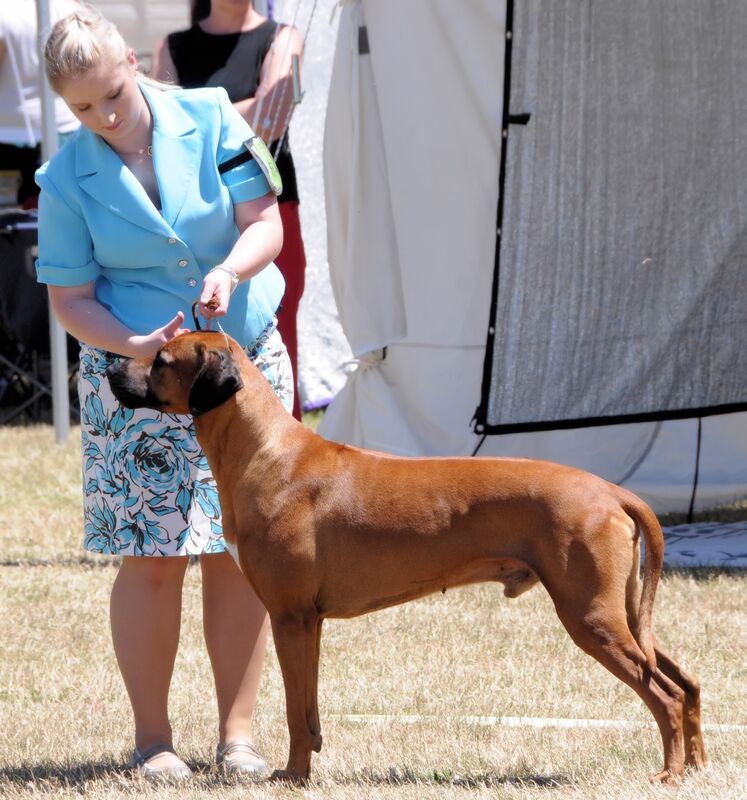 Bondi was #2 Ridgeback in Australia in 2010 and #3 in 2011 with limited showing. Bondi gained his Grand Championship at 2 years of age, winning 3 Best In Shows, 5 Runner Up Best in shows and many Best in Groups along the way. From the start of 2012 he has won 2 BIS, 2 RUBIS and 4 Best in Groups and 8 Runner Up in Groups in strong competition. 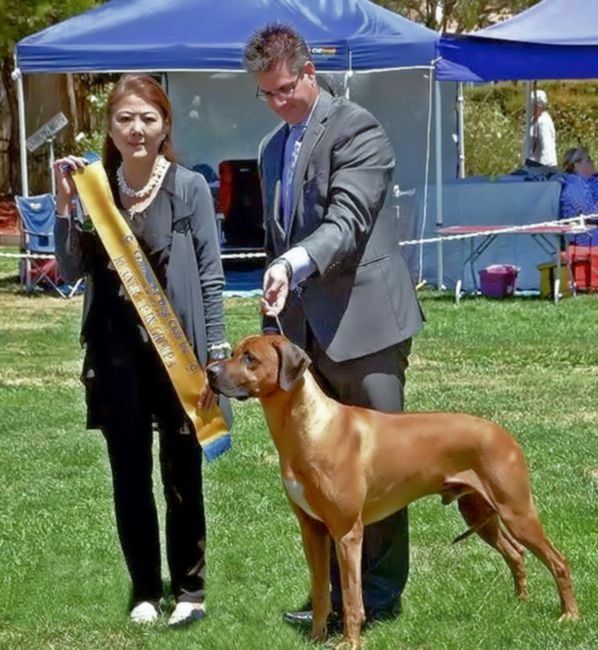 Bondi gained his Supreme Championship at his first eligible show and is currently #1 Ridgeback in Australia, the best is still to come from this stunning young dog. Bondi is handled by Lynne Harwood, Kari Harding and Tayla Wright. 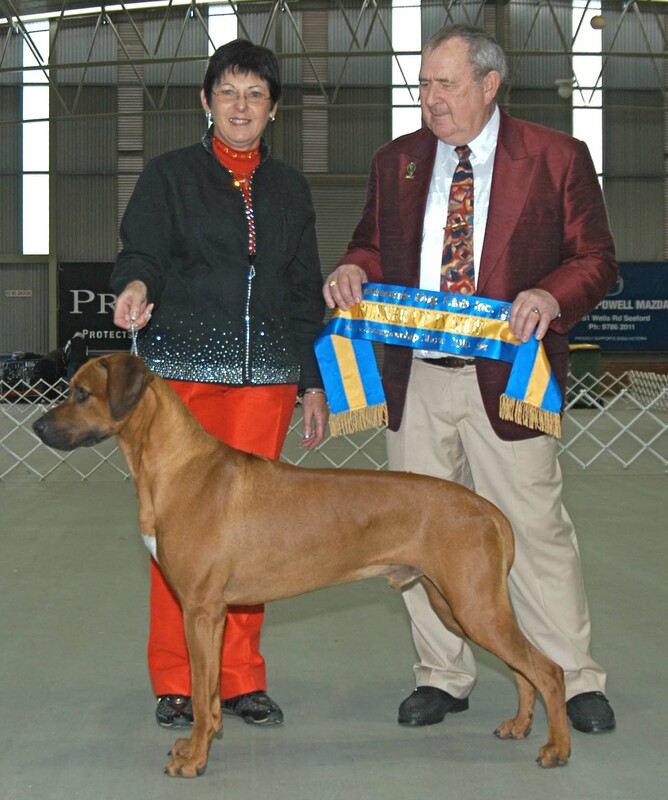 Bondi finished 2012 as # 1 Ridgeback on Dogzonline pointscore in Australia,and # 7 Top Hound in Australia on DOL.2013 Bondi finished no1 challenge dog in Victoria through limited showing.2014 has started off well with 2 runner up in groups at major shows.At the end of 2014 after winning major awards from day one Bondi was officially retired as No 1 Ridgeback on DOL for the second time. He has had a stellar career and is one life’s gentle creatures.He will make way for his niece and show companion Sansa to carry on. 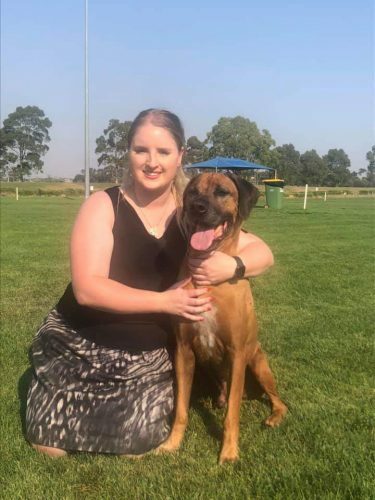 Bondi now in retirement enjoys coming out to the Veterans parade at the RRCV champ shows meeting up with his long time handler Tayla Wright. Still showing what made this dog such a great competitor and champion. Ch Rijstone Avalon Ch Macumazahn Tragically Hip E.T.